Juicer offers a whole bunch of different social media integrations for your embeddeble social media aggregator. But it can be difficult to know exactly how to add each of these different sources. So we've put together this little guide to hopefully help you out! When adding a Facebook page you want to first make sure you have set your vanity url and also make sure your page is public (The easiest way to check if it is public is to log out of your facebook account and visit your facebook page URL. If the page shows up, it's public). You want to copy and past the juicerio part and paste it into the Juicer Source overlay. There is also a checkbox to "Include posts that mention my page.". If you don't check this, it will only pull in the posts that the page itself has posted. If you do check it it will pull in posts from every user that has posted on your pages wall or mentioned your page. For hashtags simply time or paste any hashtag (minus the #) into the field. Say you want to add every post that has the hashtag #tbt to your feed. Simply type tbt into the hashtag field. Facebook has a notoriously finicky API for hashtags so you unfortunately won't always get all the posts you want. Both the posting user and the post itself have to be set to public, and it has to have been posted in the last ~7 days or so. Even then, Facebook might decide to not to index their post. Unfortunately there is not much we can do about this. If you're having trouble your best bet will be to re-post any posts you want with your page, and then add that page as a Juicer source instead. It also in general is better to focus your hashtag campaigns on Instagram and Twitter, in general. When you first click on the Twitter Icon in your Juicer Feed it will ask you to log in to your Twitter account and authorize Juicer. This is because we use your account to pull in Tweets and posts and hashtags. We never post anything to your account. Twitter is really easy, simply type your username (or any public users username) into the field. The Juicer Twitter account is https://twitter.com/juicerio. To add the Juicer Twitter account we would simply type juicerio into the username field. When you first click on the Instagram Icon in your Juicer Feed it will ask you to log in to your Instagram account and authorize Juicer. This is because we use your account to pull in Photos and hashtags. We never post anything to your account. Instagram is much the same as twitter, all you have to do is type your Instagram username into the field (once you've authorized it). Say we wanted to add the account of the US Department of the interior. We'd simple type usinterior into the field. For each, it's the same, you'd enter vice, UCjFqcJQXGZ6T6sxyFB-5i6A, and everyframeapainting into your Juicer field respectively. Adding a tumblr source is easy! Just copy and paste your blog username from any tumblr url. So if you wanted to add the Parks and Rec Tumblr (http://nbcparksandrec.tumblr.com/) you'd simply paste nbcparksandrec into the field. Say you want to add every post that has the hashtag #gif to your feed. Simply type gif into the hashtag field. Every Google+ User has an associated ID with it. To get this ID simply visit their page on GooglePlus and check out the URL. Mark Zuckerberg's page url is https://plus.google.com/104560124403688998123/posts. The part of the url we want is that long string of numbers. Simply copy and paste the 104560124403688998123 into the Juicer field and it will pull in all his posts. We can pull in all the pins of any user, all we need is their Pinterest username. 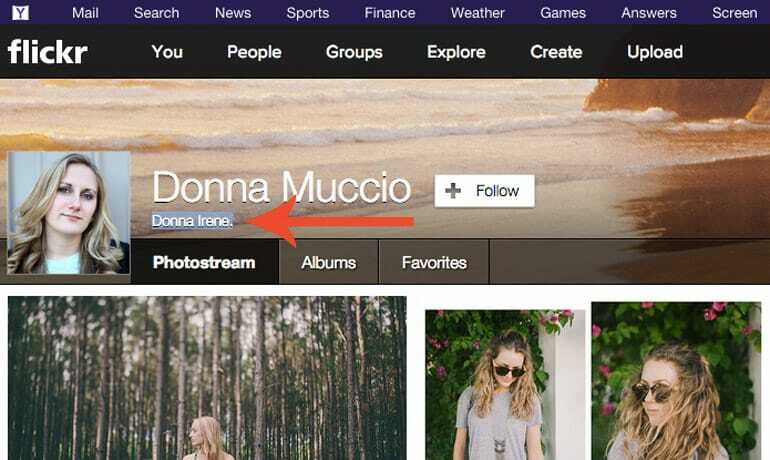 Go to any Pinterest users User page and you should see a URL like https://www.pinterest.com/brookecambareri/. All you need to do is copy and paste brookecambareri into your Juicer overlay and it will pull in their pins! Every vine user has either a user name or a user id associated with them. The best way to find this out is to go to https://vine.co/ and search for them using the search bar at the top. When you visit their profile you should see either a url like https://vine.co/MarnieTheDog or https://vine.co/u/1045178989183963136. To add each of those users you would use MarnieTheDog and 1045178989183963136 respectively. Say you want to add every post that has the hashtag #starwars to your feed. Simply type starwars into the hashtag field. To add a Soundcloud users songs to Juicer visit their User page on Soundcloud. You should see a URL like https://soundcloud.com/kuedo. To add their songs simply take their username from the url kuedo and paste it into the Juicer overlay. LinkedIn companies are notoriously difficult to add to your Juicer account. You have to find out what the company ID is. The best way to do this is to visit LinkedIn and search for your company using the search bar at the top. Then click on your company in the results and you should be taken to a URL like: https://www.linkedin.com/company/1256?trk=vsrp_companies_res_name&trkInfo=VSRPsearchId%3A223646761429313737162%2CVSRPtargetId%3A1256%2CVSRPcmpt%3Aprimary. Your company id is the 1256 after the last slash. It won't work if you try to use the sony-pictures-entertainment part of the url https://www.linkedin.com/company/sony-pictures-entertainment. You need to find the ID like above. Additionally, Juicer only works if your page has /company/ in the URL. It won't work for /group/ or /edu/ or anything else besides /company/ unfortunately. Adding the videos of a Vimeo user to Juicer is super easy. Simply visit the users URL and it will look something like this: https://vimeo.com/hiromurai. All you have to do is copy and paste the hiromurai part of the URL and it will add all that users videos to your Juicer Feed. If you have any questions or issues please feel free to Contact Us and we'll be sure to help you out.